The LG 401 One Door Refrigerator is an effective and competent kitchen appliance. It offers you a convenient way to store your food items. Its large capacity makes it possible for you to store a large number of foodstuffs. It offers super-fast cooling in minimal time. During cooling, the air is circulated uniformly across the refrigerator to ensure your food remains fresh. The LG 401 refrigerator has a dispenser integrated into it. With this dispenser, you will always have cold water at your finger tip. The top and tower LED panel helps to brighten the interior of this refrigerator. It also emits less heat which helps to keep the refrigerator cooler. 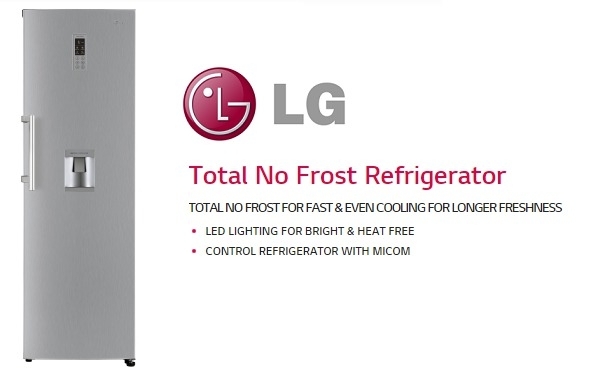 The LG 401 Refrigerator uses less energy to cool which means you will spend less on electricity bill. The door handle of this refrigerator is sturdy and firm to handle everyday opening. The side by side style of this refrigerator gives you maximum interior space. It also makes it very easy for you to view and access all your food. This refrigerator has been compartmentalized to make it convenient to store wide range of food items. Your drinks and beverages can be stored on the shelf while fruits and vegetables can be preserved in the special box cover. Do you have any questions about LG One Door Refrigerator REF 401?